Since Bring Digital was born, our founder and Managing Director David Ingram has been on a real journey. In a hectic six years, he’s pioneered an agency that does things differently — one that cares about its clients as much as they do. And on Thursday 7th February, that pioneering spirit was recognised by the rest of the business world — and in pretty spectacular style, too. He came home with not just one, but two awards — including the most prestigious one of the night. What a way to kick off 2019! 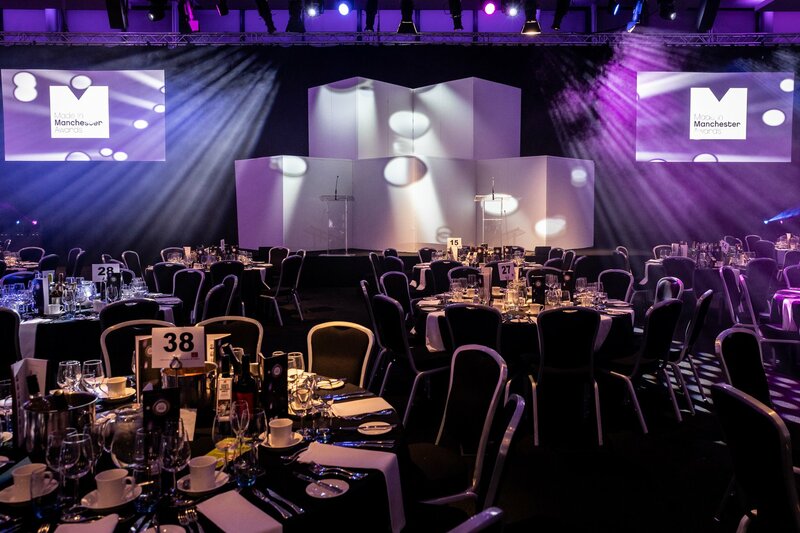 The Made in Manchester Awards is an annual ceremony that seeks to recognise the work and talent of some incredible individuals working in Greater Manchester in a range of competitive categories. But with tens of thousands of businesses in operation in the region, competition is incredibly high. David was originally shortlisted for ‘Entrepreneur of the Year’, meaning he would be among the few dozen nominees to attend the ceremony. It was held on Thursday 7th February at The Emirates Old Trafford, where it was hosted by BBC Sport presenter Will Perry. And then the incredible happened: David won! But as the night unfolded, there was another surprise in store. Before wrapping up, the judges revealed that there was one more award that they’d reserved for the candidate that had impressed them the most during the judging process: the Chairman’s Rising Star award. And David’s name was on the plaque. 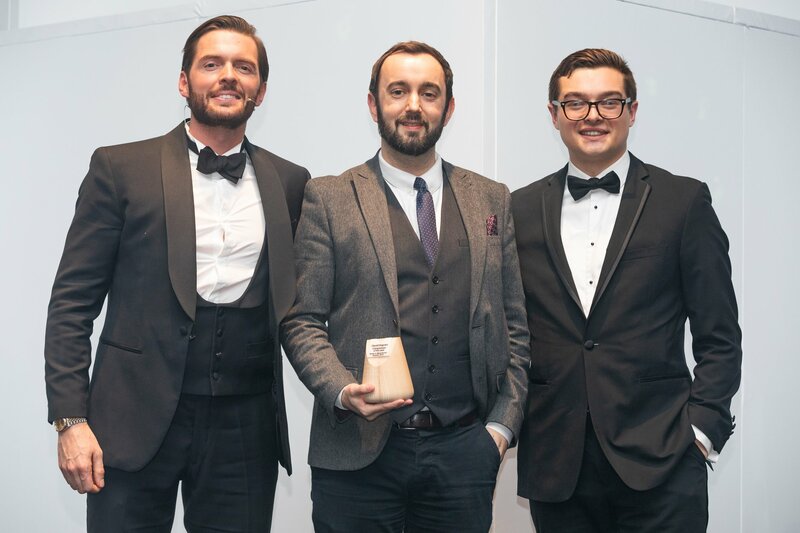 “It’s always exciting to be recognised not only by your clients and your team but by some of the top professionals in the region,” said David after winning the award. 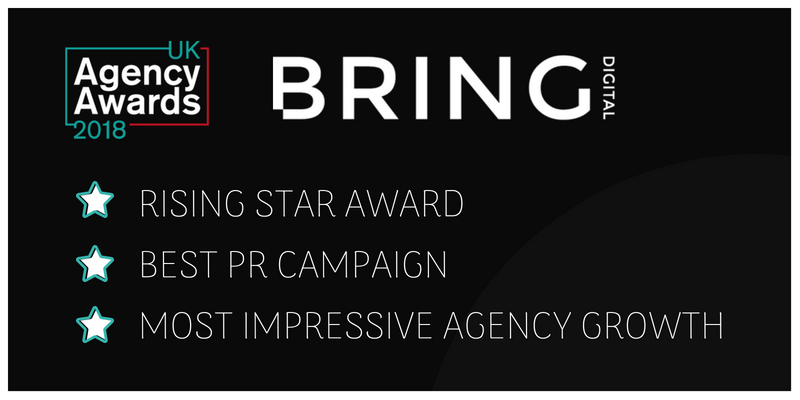 “At the same time, though, it feels like I’m taking the credit for the amazing work that the entire Bring Digital team do on a daily basis. 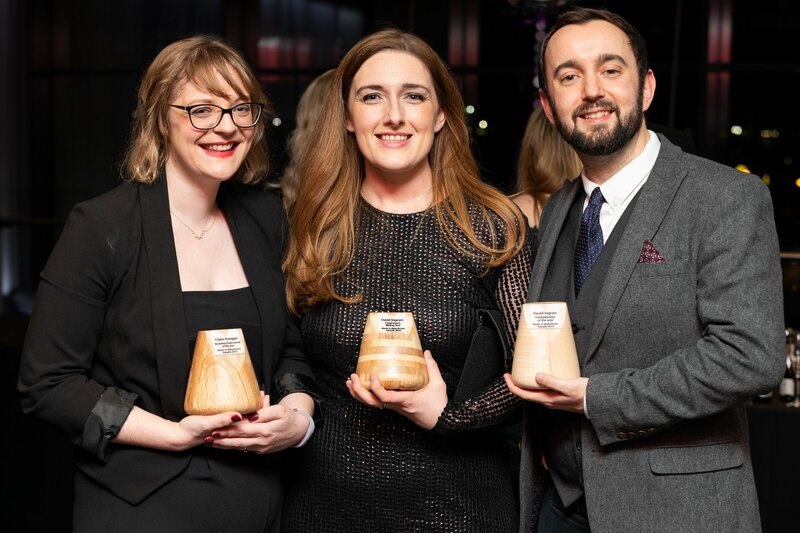 You can read all about the Made in Manchester awards — including all the other winners on the night — at the MIMA website. 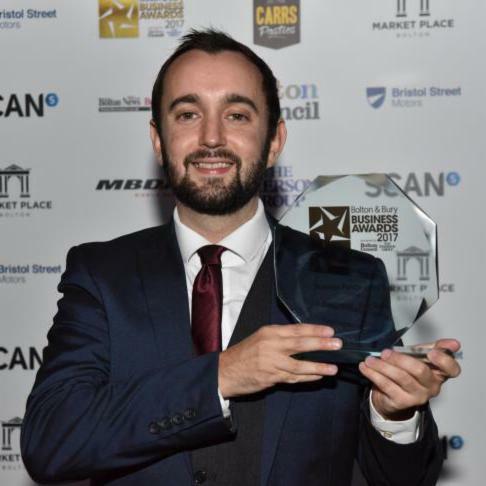 You can also read about David’s previous award win for ‘Business Person of the Year’.